† Image from David Olson, with the comment, "A second printing was made from original handstamps, on similar thin wove paper, but not transluscent, known as Spetsiotis Reprints.'" ‡ There are two designs in this set. Scott lists them all in order of denomination, Gibbons separates them in its listing. 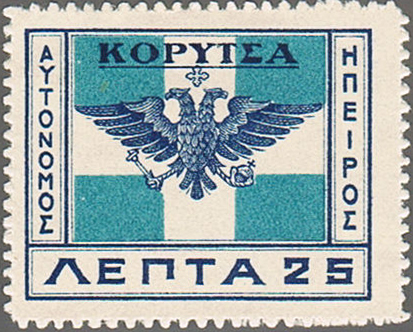 § The stamp shown is the double overprint variant. 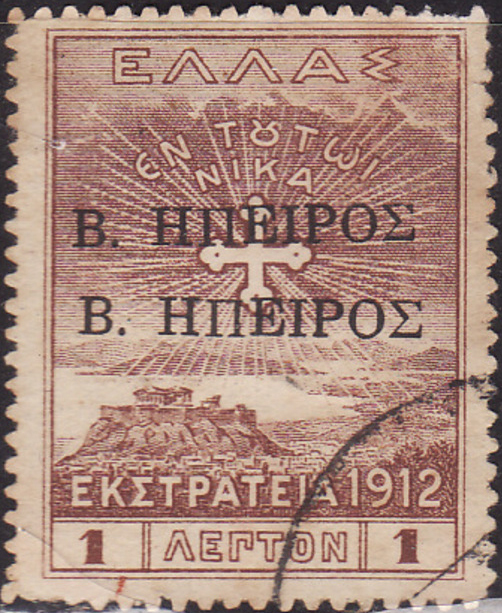 Gibbons  only has two categories for Epirus, Provisional Govt 1914, SG1-58 and Northern Epirus, Greek Occupation 1914, SG59-85. Scott  is more nuanced, with general and regional headings. Scott also illustrates a number of designs described as "not regularly issued for postal purposes in the opinion of the editors" that are actually listed by Gibbons. Wikipedia traces the history of Epirus back to Neolithic times, but looking at the more recent labyrinthine balkanisation, "While the Treaty of Berlin (1878) awarded large parts of Epirus to Greece, opposition by the Ottomans and the League of Prizren resulted in only the region of Arta being ceded to Greece in 1881. 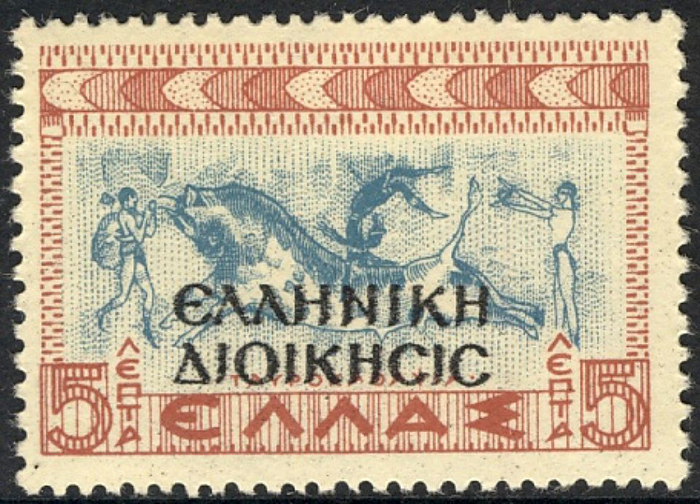 It was only following the First Balkan War of 1912–1913 and the Treaty of London that the rest of southern Epirus, including Ioannina, was incorporated into Greece. 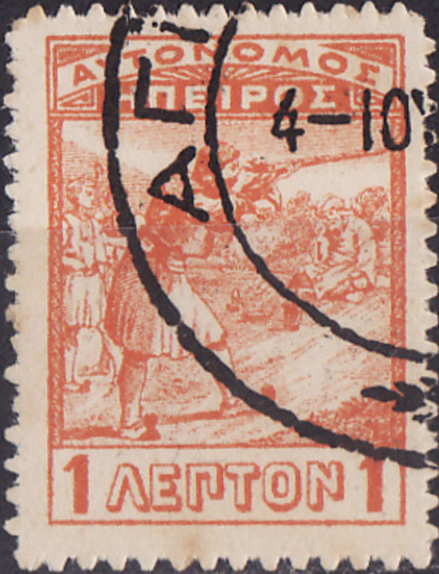 Greece had also seized northern Epirus during the Balkan Wars, but the Treaty of Bucharest, which concluded the Second Balkan War, assigned Northern Epirus to Albania." 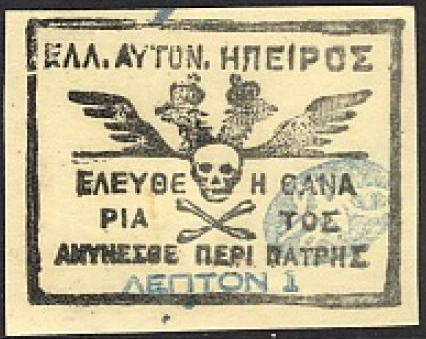 This was unpopular with the Greek population of Northen Epirus who revolted and "proclaimed the Autonomous Republic of Northern Epirus in February 1914". Gibbons  on the 1940 occupation issues states that, "Italian troops invaded Greece from Albania [in 1940]. 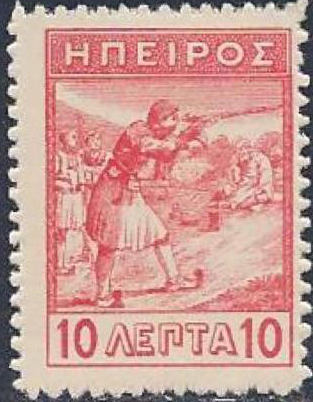 The Greeks counter-attacked and occupied part of Southern Albania, including Koritza, until the German invasion of Greece forced them to surrender [in 1941]." Image from David Olson, ebay, Delcampe.